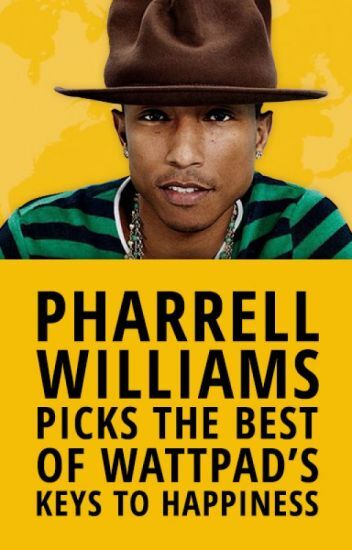 Check out Pharrell's favorite Keys to Happiness, submitted by Wattpad users. Pharrell Williams shares his 7 Keys to Happiness in support of creating a happy, healthy planet through climate action. Seventeen year old Casper Reynolds and his goofy laidback best friend Eric live and breathe surfing. Living in a busy tourist town in California right on the coast makes for a pretty crowded city, especially in the summer. Casper's parents just so happen to own one of the most sought out hotels in the city. So when they end up short-handed during the busiest time of year they ask Casper to help out. Instead of getting to surf from sunrise to sunset, instead of being able to check out the 'hot babes' as Eric would say, and instead of having the summer of a lifetime he gets stuck with a summer job. It doesn't help one bit when a mysterious grudge-holding girl ends up staying at the hotel Casper's working at. After a chance encounter that goes horribly wrong the girl obviously has it out for Casper. If personalities could be graded like school work Casper would be a solid C. He's average. He's not memorable or extraordinary or even remarkable. The mystery girl however would be an F as in a failure of a human being. She's mean, cruel, and simply unbearable. So what happens when Casper finds out the girl has secret? Maybe...just maybe he'll realize there's more to her than a rude, crude exterior. With couple heated arguments, sarcastic comments, and a little blackmail anything is possible. Hey!! Thanks for clicking on my story (hopefully it wasn't accidental haha). Anyways just a few disclaimers. 1. The original picture for the cover was off WeHearit and after a little picmonkey.com magic it turned into that. So yeah. 2. This isn't really a diclaimer but, whatever: Plagerism is a crime and it's just plain rude. All epilogues, prologues, chapters, and characters belong to me. They're MINE. Understood? Okay good. 3. This story wouldn't exist without Sammmy134's amazing idea so thank you so much!! Who am I...? what's happening around me..?how did everyone changed? why I'm alive till now? shan't I die? join me in this journey of discovering the answers. this story will be based on a girl  who will showcase normal life of depressed children's. How she will live with her hope . How she will find her prince charming. The Life Of The Prophet! Why is my life so crazy!!!!! This story is about a girl in a school who has a mission and gets distracted by friends, foes, and family. Whatever else is in this book is completely random. A book made to promote yours! What made a man so corrupted? What molded him to be a cold blooded killer? Hello it's me Trump XD/ he/him/ bisexual <3 but I'll never touch a guy EW!/ The president of the world X3/ Ill make America great again! Lol XD/ Did I mention that I like the memes which are dank? Lol XD IM SO RANDOM!! Love, they think of romance. "I heard this couple is in love!" Relationship, they think of a boy and a girl. "This boy I know just got together with a girl." Heartbreak, they think of relationship that went wrong. "The girl cheated on him and left him." A girl and a love for her mother. One that she never met. A boy and a loving mother. One that he never cherish. What will happen when two opposites meet?